After you plan your Tampa Bay wedding, you’ll probably want to head elsewhere to celebrate your honeymoon. California is one of our favorite states (second to Florida of course). Based off our our recent trip to Los Angeles and Hollywood, we put together some helpful L.A. honeymoon travel tips! Everyone know’s the L.A. is a “driving city” and with an average of 284 sunny days, a convertible is a must to explore the city. 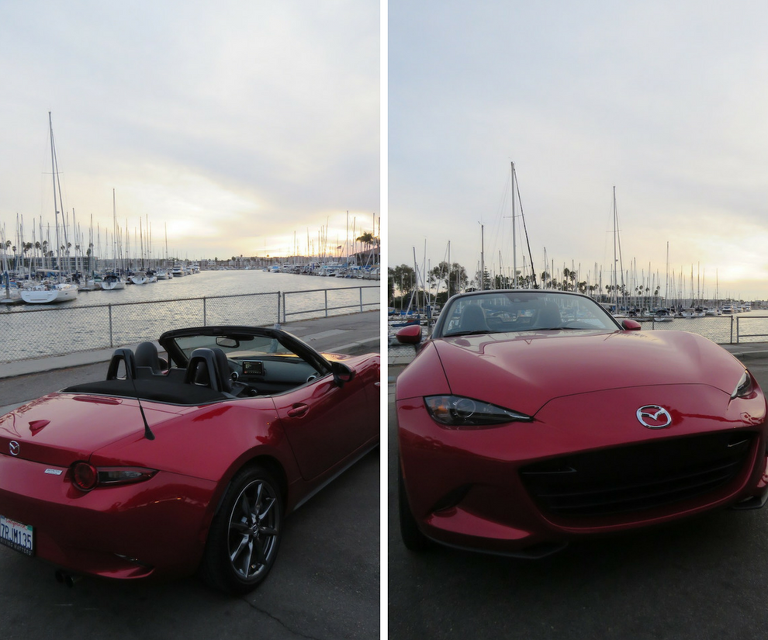 We teamed up with Mazda to drive the newly redesigned MX-5 Miata Grand Touring. Since this was my first time in Los Angeles, the car’s 7-inch touchscreen dashboard navigation was key! I loved how it displayed the highway signs on the screen to make sure I got off at the right exit. The push button start, sleek interior design, leather seats, Bluetooth and BOSE speaker system made me actually WANT to drive! This car is definitely a head turner! I received several compliments and stories of people telling me about their previous Miatas. The curves, design and 17-inch rims give it a sleek and sporty feel. 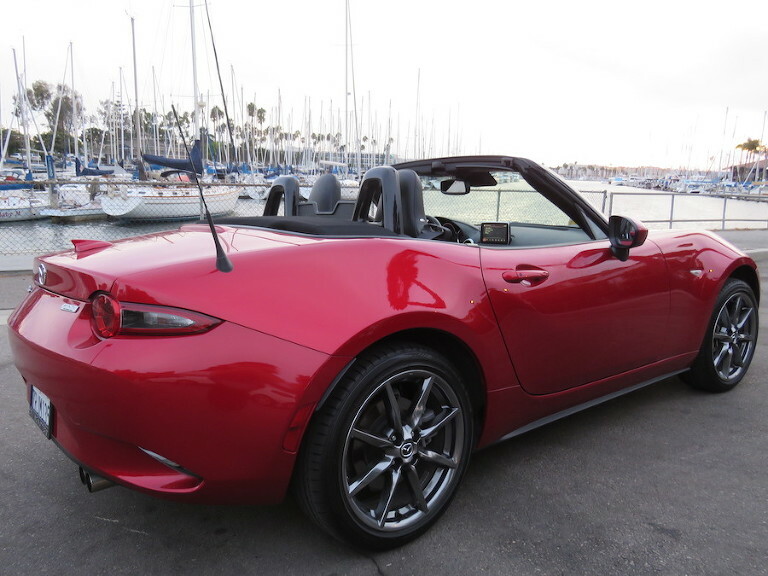 The MX-5 Miata Grand Touring produced very smooth ride, and I just wanted to take it on a twisty turny road, a.k.a. Mulholland Drive. Just for fun, I opted to get the manual speed to make me feel like I was a real sports car driver, even if it were just for a few days. Also, with an estimated 36-mile EPA, I didn’t have to fill up with gas during my four-day trip! 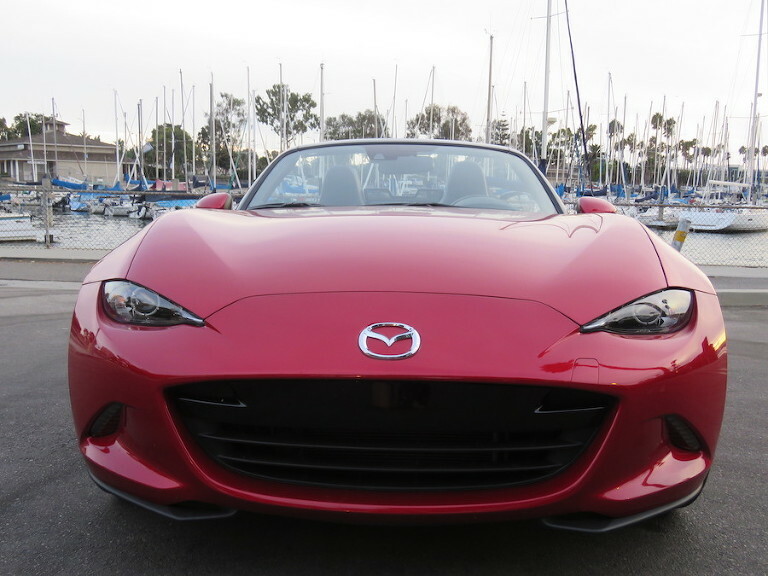 If you’re ready to add some spark to your life and fun on the road, visit your local Mazda dealership to test drive a new Miata! There’s nothing wrong doing the typical touristy-type things while on your honeymoon! Those were some of my favorite memories. You can’t visit Los Angeles without getting your photo with the Hollywood sign. After two attempts to visit the Griffith Observatory, (do NOT got on a weekend, parking is insane and you’ll literally have to walk two miles once you find a space), it was worth it to see the sweeping views of the L.A. skyline. Plus, you can get a great selfie with the infamous sign and really take in the beauty of L.A. Best of all, visiting the observatory is free! Another way to see the city is to take a bus tour. I opted for a Hollywood/Beverly Hills/stars’ homes tour, which was actually really enjoyable! Now I can say I’ve been to Leonardo DiCaprio’s house (even if it was from a far). One of the main reasons I wanted to visit Los Angeles was to see movie and tv stars! To guarantee this, book tickets to your favorite tv shows through 1ota. I attended a taping of Jimmy Kimmel Live! and daytime tv show The Talk for FREE! John Stamos was the guest on Jimmel Kimmel (John was even more attractive in-person, and Jimmy too) and This is Us stars Mandy Moore and Milo Ventimiglia sat at The Talk table (they were as charming and sweet as you’d hope they would be). The Jimmy Kimmel Live! studio is directly across the street from the TCL Chinese Theatre, and as I was exiting that taping, Ben Affleck’s The Accountant was premiering that night at the theatre. So guess who comes strolling down the street? BEN FREAKIN’ AFFLECK! Can you get more Hollywood than that? *A complimentary car rental for this post was provided by Mazda, however all thoughts and experiences are those of Marry Me Tampa Bay. 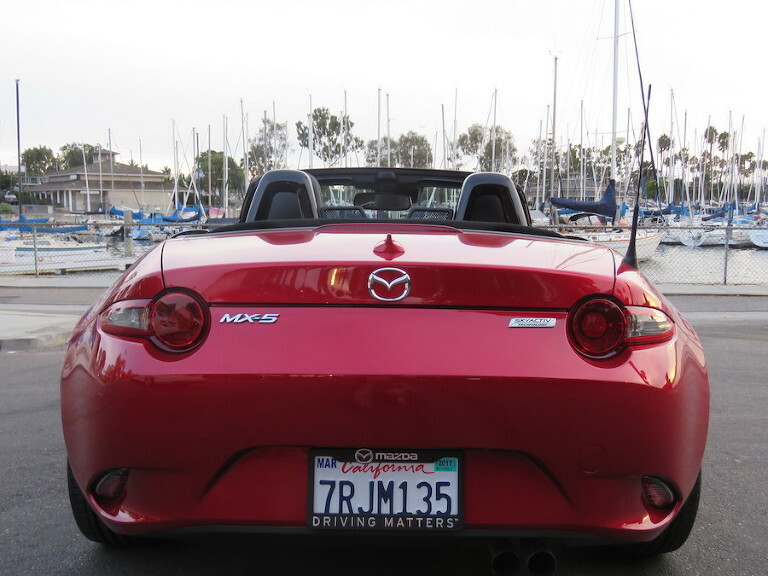 The opinions expressed herein are those of the author and are not indicative of the opinions or positions of Mazda.